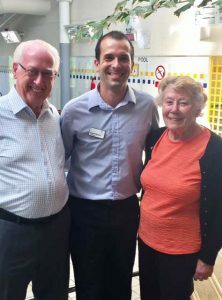 Norman and Margery are devoted to the leisure centre, never failing to turn up and coming at least twice a week to Aqua fit. They have a great attitude and work very hard at their fitness. They are an inspiration to us all!